As we approach the launch of an updated hail data API, I want to show how we've improved it. Our previous hail API allowed users to get contours for a circle around a location or a bounding box. Our newest update expands that contour capability to any geometry. For this new API, we targeted two main improvements over the previous service: 1.) Speed and efficiency for point-based calls and 2.) adding the ability to get contours for any area. A significant hailstorm occurred in Dallas, TX during the overnight/early morning hours of June 6th. This event provided an excellent opportunity to showcase the APIs polygon capabilities. 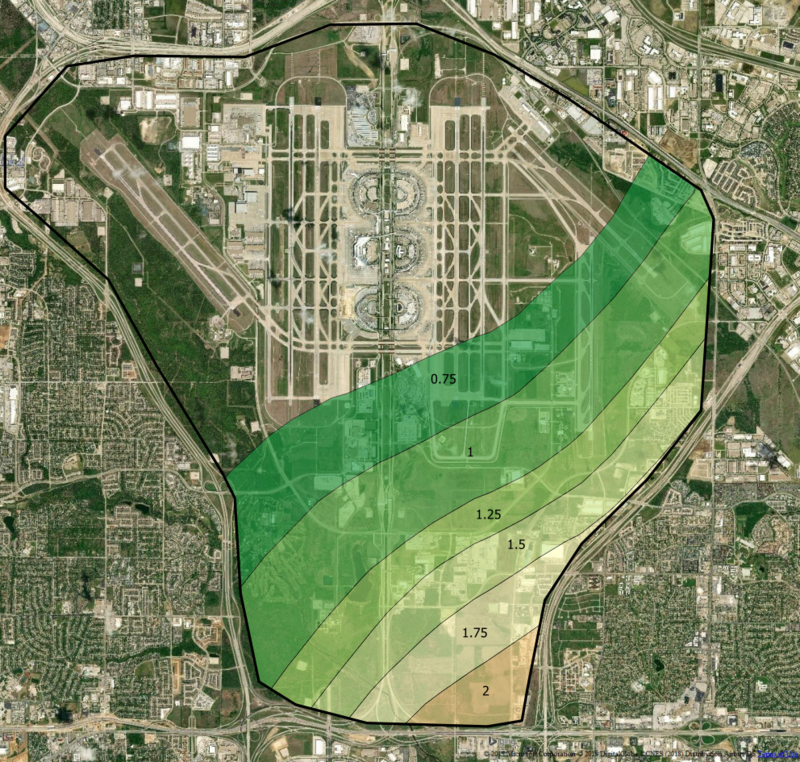 The image above shows hail contours clipped to the DFW airport. The airport was on the western edge of the hail-swath with most of the airport terminals receiving little hail. You can see that the buildings further to the southeast received larger hail. 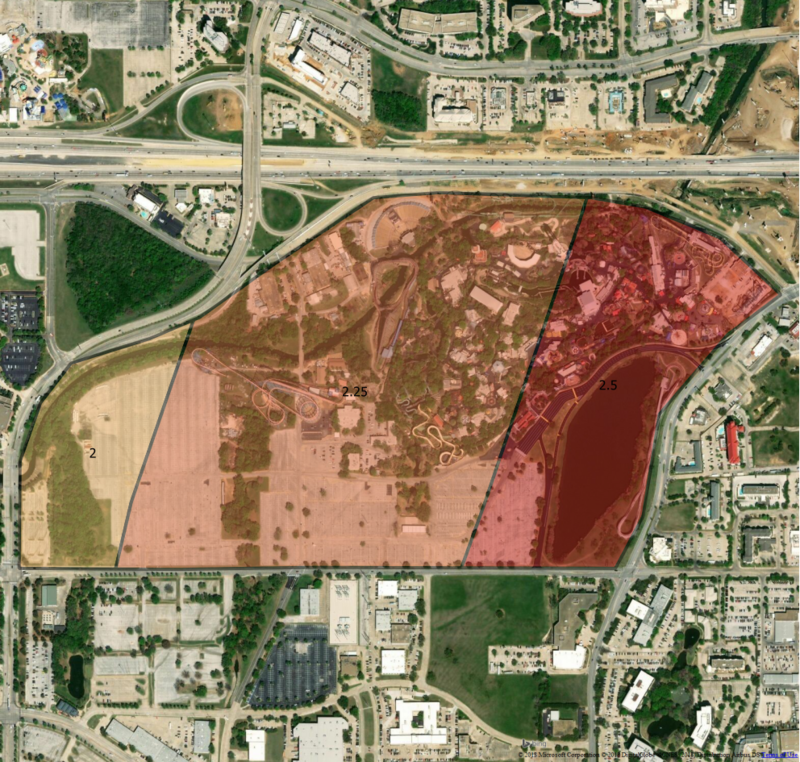 Further to the south, Six Flags over Texas had a higher likelihood of damaging hail. Luckily the park was closed, but data show 2-inch hailstones across the area with the eastern portion possibly receiving 2.5-inch stones. The information provided in the API is valuable for airports, outdoor festivals, concerts, large business complexes, car lots, and other places where a large number of people or merchandise may be located. If your industry would benefit from very specific and precision hail info, not just point based, this product is for you.